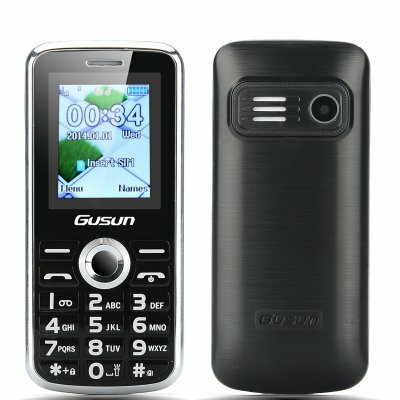 Successfully Added GUSUN F7 Cellular Phone - 1.8 Inch Display, Dual SIM Quad Band Support, Camera, LED Torch, Ideal For Senior Citizens (Black) to your Shopping Cart. The GUSUN F7 Cellular Phone has a 1.8 Inch Display, Dual SIM Quad Band Support, Camera, LED Torch and is Ideal For Senior Citizens. The Gusen F7 phone is made for people that want to keep it simple and practical. 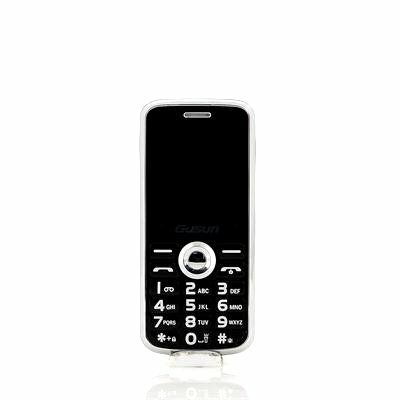 Designed originally to be used by senior citizens, this bar phone is not just easy to use but has many specs that makes it more attractive to anyone who wants a low priced alternative that does exactly what a phone should do and more. With a 1.8 inch display to view the content, this phone has a very straight forward to use keypad for dialing numbers and navigating around the screen. A very useful feature on this cellular phone is the ability to use two SIM cards simultaneously as there are two SIM card slots that support GSM quad band frequencies. You will be able to take a photo with this phone’s built-in camera plus there is an LED torch so you can see what you are doing in limited light. You can also use this phone to listen to your MP3 music library as you commute to work, school or to the shops.